"I think in hindsight now, having discussed it with some other referees... I think the general consensus would be that a penalty was probably the outcome there that should have been given," Gardner told Rupert Cox on the Will Greenwood podcast. The Australian referee consulted Irish television match official Olly Hodges, but in the end took the decision upon himself and determined that the England co-captain had made enough of an effort to wrap his arms in the collision. 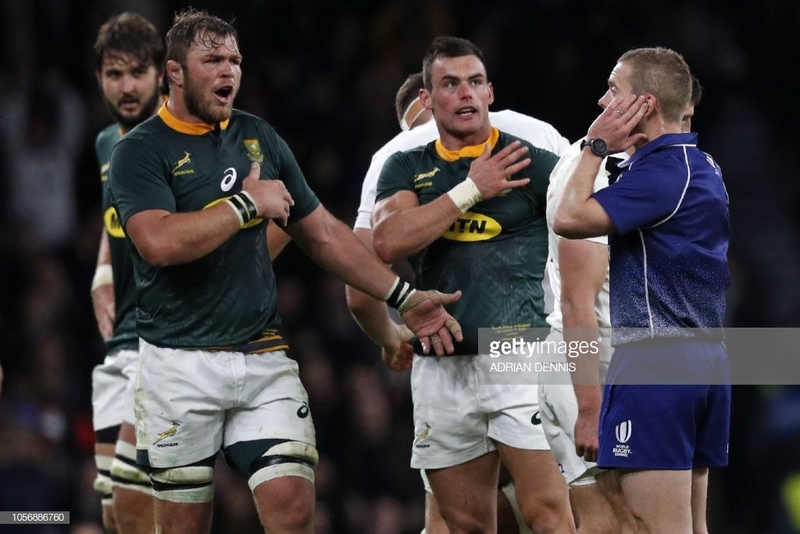 Gardner and his assistants - Jerome Garces from France and Ben Whitehouse from Wales - also failed to spot an apparent off-side and high tackle by England wing Jonny May in the build-up to Farrell’s hit on Esterhuizen. "It was never high, and so all we were looking at was the tackle technique. The collision itself also kind of swayed my decision because it was a big rugby collision, and we see these hits in the game.